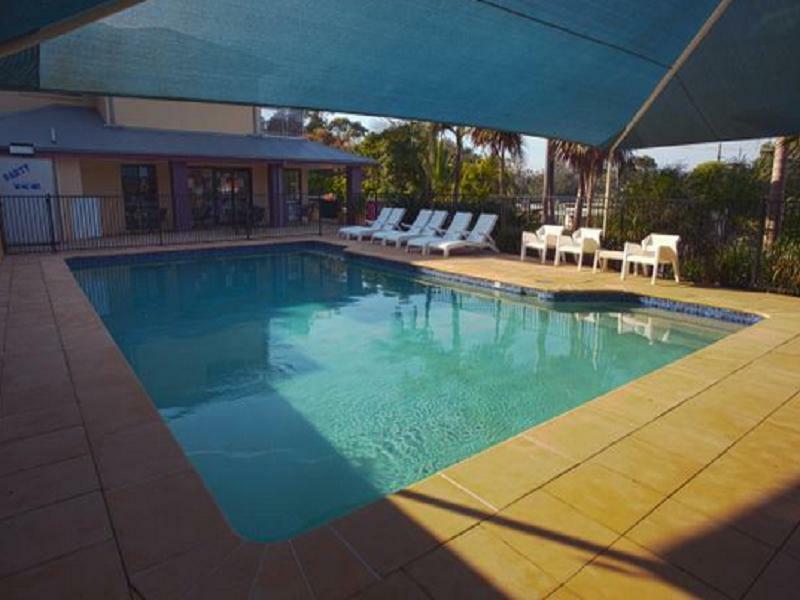 يقع فندق Discovery Holiday Parks Gerroa، المصمم ليناسب كل الضيوف سواء كانوا من رجال الأعمال أو السياح، في مكان ممتاز في أحد أكثر المناطق تفضيلاً في جيروا. يمكن من هنا للضيوف الاستمتاع بسهولة الوصول إلى كل ما تقدمه هذه المدينة النابضة بالحياة. يوفر الفندق بفضل موقعة الجيد وصولاً سهلاً إلى أهم معالم المدينة.
. يعمل Discovery Holiday Parks Gerroa على ضمان إقامة مريحة لضيوفه من خلال خدماته الممتازة وحسن ضيافته. يقدم الفندق فرصة للاستمتاع بشريحة واسعة من الخدمات بما فيها: تسجيل وصول/خروج سريع, تخزين الأمتعة, صف السيارات, غرفة عائلية, مرافق للشواء . استمتع بوسائل الراحة الراقية في الغرف أثناء إقامتك هنا. بعض الغرف تتضمن تلفزيون بشاشة مسطحة, مرآة, حوض الاسترخاء, غرف لغير المدخنين, مكيف هواء لمساعدتك على استعادة طاقتك بعد يوم طويل. صممت خدمات الاستجمام في الفندق والتي تتضمن ملعب للأطفال, حديقة, رياضات مائية (غير آلية), غرفة ألعاب لمساعدتك على الاسترخاء والراحة. اكتشف مزيجاً ساحراً من الخدمة الاحترافية والخيارات الواسعة من وسائل الراحة والمتعة في Discovery Holiday Parks Gerroa. Miles from anywhere, a rabbit Warren of one way and no through roads. The motel section is reasonable. 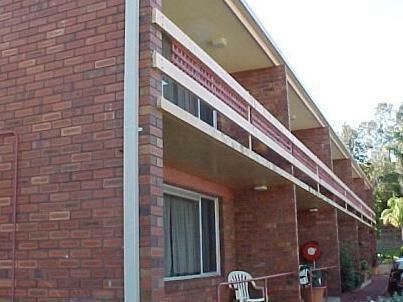 Large apartments, comfortable beds, very clean. Parking awkward, and the shower almost unmanageable. The water cycles from scalding to freezing every 20 seconds. No food available, and it’s a 10 minute drive to the town, or a 15 minute walk up a steep hill to the Fisherman’s Club. (Worth the effort). There is mixed review on this place but glad I booked it. Stayed at the studio and the room is nice. It is the best among the stay except very hard to get the right temperature for the shower. Also, the temperature is not constant. There is no room cleaning for the 2 nights that we stayed. Not sure if it so. Do note that the reception only opens till 6pm. Do check out the arrangement if you are going later than 6pm. Although I checked in just before 2pm I couldn't find my cabin even by 2.30pm. In the hottest part of the day it was very frustrating as the sign to my cabin was not obvious. It was just like a maze of one way roads. I was given a refund. Never in my life (and I have travelled widely) have I ever got lost INSIDE a holiday park trying to find my cabin and it is the fault of the Holiday Park! Shame on them! Location, staff and family friendly environment. 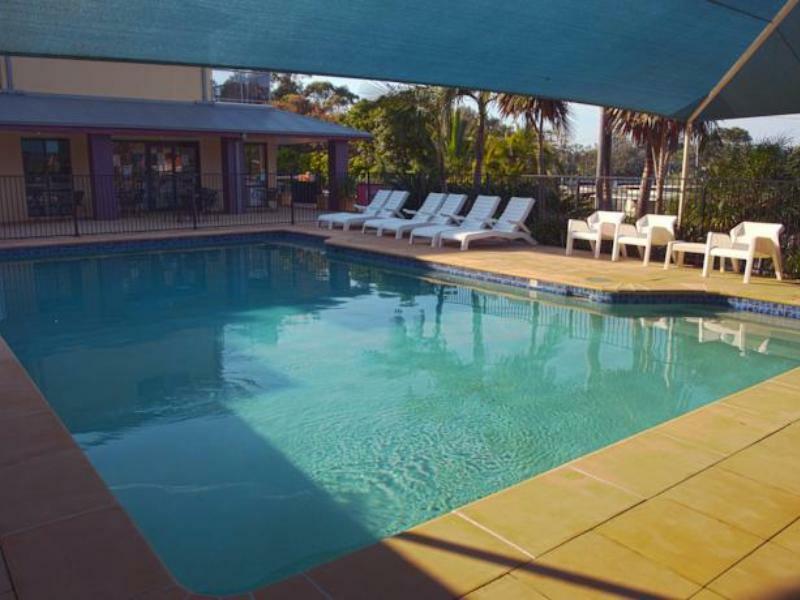 It was quiet, staff were friendly and efficint and apartment was clean and well equipped. We did not have any issues, the staff were great especially Wendy who was very helpful. Great location for the kids, with jumping pillow, swimming pool, bikes and an open air cinema. We stayed in the Holiday Units which are newly renovated, so they were clean and fresh and with Agoda points towards the bill it made it affordable. We had family pay the extra $ and stay in the BBQ cabins and they were a bit run down for the price you pay. The park on a whole is well located and serviced. Great. Delightful people on reception. 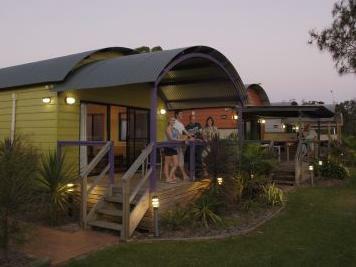 Cabins are well equiped with everything you would need for a family holiday. Value for money. Lovely and relaxing. Close to most things but also far enough away to be out of the hustle and bustle. Convenient location. Reasonable price. Helpful staff. We stayed in our little cabin for four nights. The cabin was fine apart from three drawbacks: 1) the mattress in the master bedroom was too soft and was uncomfortable to sleep on; 2) the the upper bunk-beds did not have high enough safety railings so it was too dangerous to let our kids sleep on the top bunk; and 3) the bathroom and kitchen cabinets were rather moldy. We stayed during a very wet (non-stop rain!) and cold period so it was tough to get the bathroom to dry out. Better ventilation is needed to keep the cabin dry and mold free. Better to spend a bit more money and book the newer, much nicer waterside cabins (# 10-15).